On the 1:30 whale watch the skies were more clear but the water was getting a little rough. We found a fin whale towards the end of our trip a little more south than the morning trip and got to see it for a handful of surfacings but it was difficult to follow. This morning's trip was quiet with scattered showers. 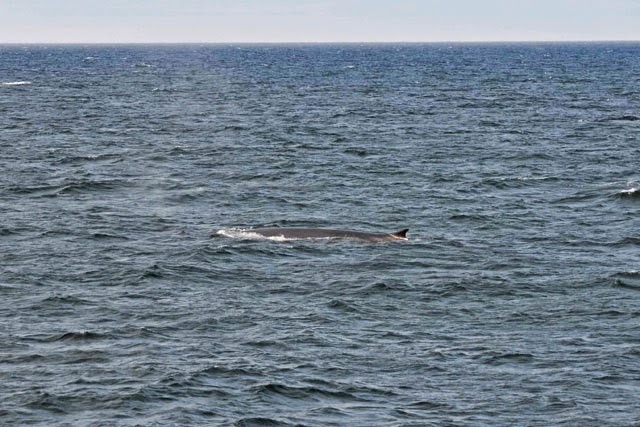 We caught a glimpse of a fin whale and a minke whale on the western side of mid-bank that the passengers got to see for a very short amount of time.